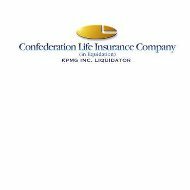 Confederation Life Insurance was ordered into receivership in August 1994. Their offices in Canada, Michigan, and Georgia all fell under the receivership order. Confederation handled one third of its business in the United States with the ability to write policies in all fifty states. The company was also licensed in Canada, Puerto Rico, the United Kingdom, Bermuda, and Cuba. Although the company went into receivership in 1994, it was unable to rehabilitate and was forced to liquidate in August of 1996. The estate of Confederation was completely closed by the state of Michigan on November 19, 2008. Confederation Life Insurance policyholders were covered under the state life and health insurance guaranty associations that were established to help and fund monies due to policyholders. Any questions regarding coverage from a state guaranty can be answered through the state in which the policyholder purchased the policy. Canadian policyholders should contact the Canadian Life and Health Insurance Compensation Corporation, also known as CompCorp at (800) 268-8099. A number of companies were assigned policies to handle the obligations that were still outstanding after the liquidation. All United States health policies were transferred to Hartford Life and Accidental Insurance Company as of October 1, 1997. Canadian policies were transferred to Manufacturers Life Insurance Company and Maritime Life Assurance Company, which is now collectively known as Manulife. United Kingdom policies were assumed by Sun Life Assurance Company. Cuban policies were taken over by a Cuban owned insurer. The name is not listed on Confederation’s website. Bermuda policies were transferred to Citicorp International. However, they sold off the accounts to MetLife in 2005, but MetLife manages its Bermuda clients under the Algico name. The United States policies that were transferred to the Hartford can find claim info on the Hartford website. The site does not provide any options for health insurance claims, but it does specify contact information for disability claims. Claims can be processed online or by calling (800) 563-1124. If processing your claim online, simply click on the “start a claim” button. Manulife out of Canada does provide information regarding health, critical illness, disability, long-term care, and travel emergency medical at www.manulife.ca.com. Claims for the company can also be filed online under the Forms section where it says, “Make a Claim”. Simply fill out the form and mail it to their address listed below under contact information. Questions or concerns can be addressed by calling (888) 626-8543. Sun Life Assurance Company provides detailed listing of its health and disability insurance at www.Sloc.co.uk.com. Should you need to file a claim with Sun Life, you must call the company to receive the necessary forms at 0845 605 2323. MetLife operates its insurance company in Bermuda under the Algico name. The company offers travel and personal accidental insurance. Claims can be filed by mail, fax, email, and phone or face to face at a branch office. Forms can be also found online. Since the company is no longer in existence, you have the option of contacting agents and getting quotes from one of the companies that acquired its business. The Hartford provides its customers the option of finding a sales representative on their website. Simply click on the state you reside and a list of offices and representatives are provided. The representative can offer you a quote once they obtain some personal information. Manulife offers the ability to locate an advisor on its website by entering your postal code and then choosing the type of insurance that interests you. Sun Life can direct you to an advisor once you input your postal code and answer a few questions regarding the products that interest you. After emailing or calling the advisor, a quote can be given. Algico’s website has an entire page devoted to its branch offices. Simply stop by an office, phone, or call the agent to obtain a quote. Confederation was once in the top five of insurance providers, but there are other quality insurance providers still in business today. In fact, you can get online health insurance quotes from active providers by typing your zip code into the free rates tool now!